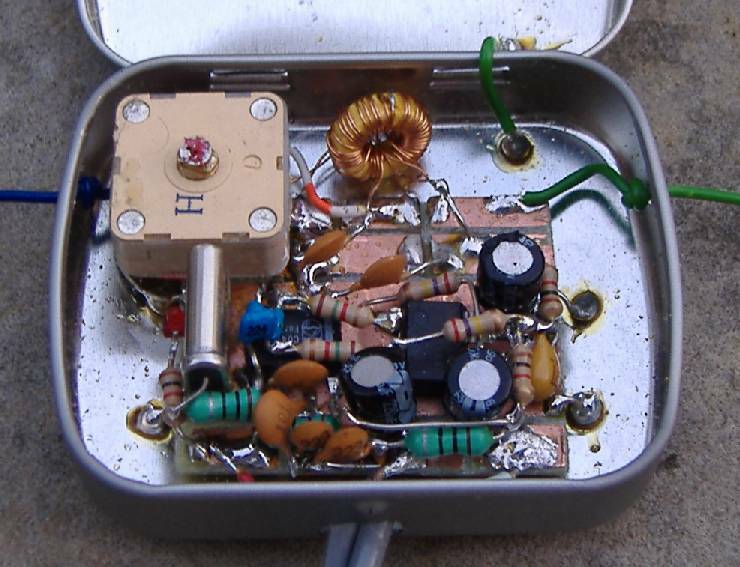 The circuit also makes a fun little 30 meter CW receiver, considering its simplicity. It's tempting to call it a "three transistor receiver", but you'd need a couple more transistors to get audio to a halfway decent level. The also as direct mixer described receiver consists out of a bandpass filter, mixer IC, VFO and AF filter. For the construction of this simple circuit only 22 parts and somef time at a weekend are needed. The inspiration for this project was Paolo I1DFS, who used a simple SA602-based homebrew direct conversion receiver to produce some very nice QRSS reception reports, of my Junkbox QRSS beacon and others. 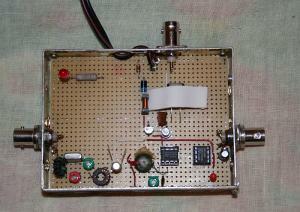 This simple receiver was originally intended to check the transmission of my 30m QRSS beacon. By tuning the 30m receiver to Russia's RWM timesignal on exactly 9996kHz I was able to calibrate my frequency counter. It is a simple Direct Conversion design and while it does not yield state of the art performance it does provide a useful introductory receiver for qrss reception. 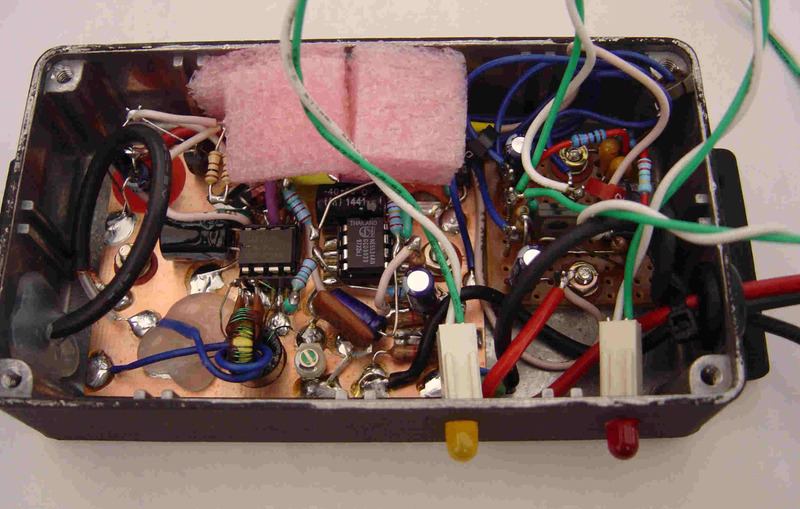 Some time ago my son Tomáš came with idea, that we can build QRSS receiver for 30M band. 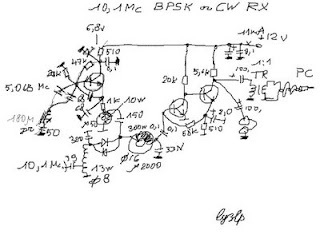 He obtained crystals 10140kHz from internet and I studied what QRSS beacons are about. 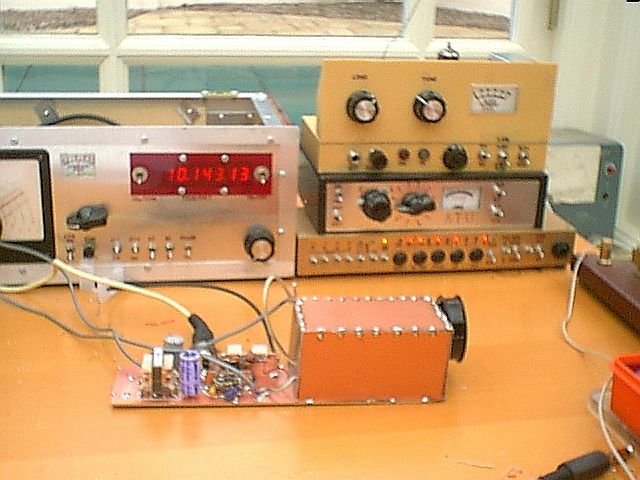 "Zero beating" to the WWV carrier for calibration of oscillators is easier said then done. To truely "zero beat", you must do exactly that, produce a 0 Hz beat note. This is difficult to do, since most receivers do not have an audio responce down to zero Hz!